You can learn to work from home. Not everyone comes from a background that translates well to remote work. And that’s okay. You don’t always need specific experience to launch a cubicle-free career. In fact, if you’re willing to put in the work, you can actually learn to work from home for the first time in high-demand career fields. Curious to know what your options may be as a newbie? Read on! I’m sharing 8 in-demand career paths you can easily train for online. Chances are, you have some type of previous experience that would make you a great virtual customer service rep. Having worked retail, in a call center, as an admin assistant, server, or any type of public-facing position can prepare you to tackle customer service jobs like a well-seasoned pro. But some big-name companies with work from home customer service jobs require specific customer service experience in a virtual setting. So, how then do you gain that experience and still nab the work from home job you’re after? Well, consider contracting with an outsourced customer service company that will provide the training you need to succeed, even if you’ve never worked virtually before. These companies include the likes of NexRep and LiveOps. While two different companies, they operate similarly. As a contractor for either NexRep or LiveOps, you’ll work on specific projects as a contractor. These projects can include everything from sales and support to customer care and management. One day you could take calls to initiate an insurance claim and the next help someone submit a claim for a broken cell phone. Really, the types of calls you’ll take depend on the individual project assigned to you. Many times, you’ll be able to work on multiple projects at once. As a contractor, you’ll be able to set your own schedule (in blocks as short as 30 minutes!). And you’ll also receive training and access to continuing education. This means that, even as a newbie in the world of work from home customer service, you get a chance to learn the ropes, while getting paid. Keep in mind, you will have to pay a small fee for a background check. But, don’t worry, this is one of the few times it’s okay to pay to work remotely. The fee goes to a third-party verification company that ensure you’re eligible to handle sensitive information — remember, many of the call types you’ll take involve insurance, finances, and other personal info. And you’ll only pay for the background check AFTER you are extended an offer to contract. Sound interesting? Be sure to check out the types of contracts available at Nexrep and LiveOps to learn how to work from home as a beginner. Bookkeeping is often named one of the most profitable businesses because of its low startup costs and potential to earn up to $60/hour. And many corporations and small business owners don’t mind paying good money for a little help managing their day-to-day finances. It can be difficult to snag a full-time job from home as a bookkeeper without previous experience. But that shouldn’t stop you from launching your own bookkeeping biz! Remember, it doesn’t take a degree or fancy credentials to get started as a bookkeeper. In fact, you can train to become a bookkeeper online and jump-start your own virtual business without going into debt. Over at Bookkeeper Business Launch, you can learn what you need to get off the ground and start earning virtually month after month by signing up for their free three-part training series. So many people are turning to virtual assistants (VAs) to help them get more done in a day. Busy professionals, small business owners, bloggers, digital marketers, and even freelancers use VAs to manage their schedules and tackle to-do lists. Previous experience in a clerical role is definitely going to help as you work to establish yourself as a VA. But even if you’ve never been an admin assistant, receptionist, or office pro, you can still get started in this in-demand field. First things first, visit Gina Horkey over at Horkey Handbook. She knows what it takes to build a VA business from scratch, because she did it herself. 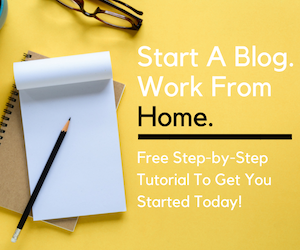 With plenty of words of wisdom, real world examples, and no-fluff advice, you’ll leave the course armed with the knowledge needed to earn a full-time living online as a virtual assistant in one of 150+ VA niches. As a former VA myself, I can attest to just how flexible and fun it can be to help others grow their businesses. I specialized as a Pinterest VA. Which means, yep, I got paid to be on Pinterest all day long. If that sounds like a dream come true, you can sign up for the waitlist to be in the know next time the Pinterest VA course launches! With a set of ‘eagle eyes,’ you can become a proofreader and earn a living from anywhere in the world. Seriously, with so much content out there — websites, blogs, ebooks, and more — there’s a lot of potential work to be found online. I know. When I was freelancing, I often took on proofreading gigs. My niche were non-fiction ebooks, but there are plenty of other possibilities. For example, my friend Phon created a proofreading career out of reading romance novels. Others have found success proofreading court reporter transcripts. And there’s still even more opportunity to tackle essays, dissertations, marketing materials — anything, really, that you find interesting. If you can spot errors a mile away and call people out on their grammar mistakes, you just may have the stuff to make it in the world of proofreading. Curious whether or not you have ‘it?’ Take this free 45-minute workshop to find out. 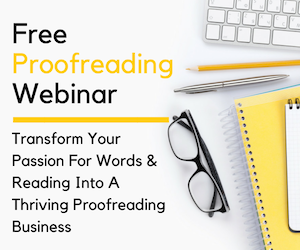 You’ll learn the hallmarks of a professional proofreader and whether those are skills you possess. I was surprised to learn just how many professionals use transcriptionists. And, no, it’s not just doctors. Authors, lawyers, marketers, and producers often turn to transcriptionists to put audio down into a written document. If you’re not familiar with transcription, it’s the process of listening to audio and typing out what is being said. While this sounds super simple, the truth is, you need a good bit of talent to be successful as a transcriptionist. Simultaneously listening to audio and typing out what is being said is tricky. Plus, you’ll need to use proper spelling, grammar, sentence structure, and proofread your work to make it nearly perfect. But being a transcriptionist can be a great way to earn an income for those with fast fingers, a good ear, and strong grasp of grammar. While jump-starting my freelance writing career, I supplemented my income as a transcriptionist. This was certainly one of the most interesting gigs I held. As a legal typist, I’d listen to recorded depositions and transcribe them verbatim. You can get started too, even if you’ve never typed professionally before. Great resources for beginners are the free courses available over at Transcribe Anywhere. So, what are you waiting for? 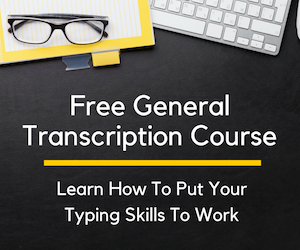 Explore the possibility of a career as a legal typist or general transcriptionist by signing up for one (or both) mini courses today. I’ve pretty much tried my hand at all the careers listed so far on this page, and for good reason: To pursue my dream of becoming a writer! While I worked to make money as a writer, I needed income. A girl’s gotta eat, right? Right. So I picked up proofreading jobs, worked as a legal typist, and even took on clients as a virtual assistant all while building my writing career from scratch. And, honestly, I made a lot of mistakes along the way. So many, in fact, that it took me a lot longer than it should’ve to get established enough to start earning a good income writing. But, fear not, I made these mistakes so you don’t have to. Instead of guessing how to go about securing work as a writer, why not get straight to the good stuff? Both courses are directed specifically for beginners who want to learn the ropes quickly in order to start making money online as a writer ASAP — without having to resort to content mills and other low-paying marketplace sites like I did. While you mull over your options as a beginner, start thinking about which writing niche you’ll pursue. Me? I started out as a legal writer, but there are more than 200 niches you should consider as a writer, giving you a chance to write about subjects you LOVE. Did you know there are more medical billing & coding jobs than professionals to fill them? Needless to say, this is a hugely in-demand remote-friendly career path. Granted, not all medical billing & coding jobs have a work-from-home option, but many do. In fact, when you train to become a medical billing & coding specialist at Career Step, you’ll gain access to employers known to hire entry-level coders straight out of school. Another bonus about Career Step is the fully online curriculum that allows you to work at your own pace and on your own schedule. So you can train for a high-paying career as a medical billing & coding pro while running a household, holding down a 9 to 5, or doing any of the other many things you do in any given day. Ever wonder who builds the websites you frequent? Or the masterminds behind some of your favorite apps? Well, if you learn to code, that person could be you. Learning to code opens up a world of remote jobs. This includes job titles like WordPress Developer, Front-End Developer, Software Engineer, and many, many more. And while tech jobs like programming can land you a pretty hefty salary, learning to code doesn’t have to cost you a single penny. That’s right, thanks to popular learning platforms, like Codecademy, you can learn the skills to land a remote career as a programmer — for free. For a little inspiration, read Codecademy success stories from students, like you, who started from scratch and wound up building careers because of their coding know-how. You can literally start learning to code today and begin working with clients just as soon as you hone your skills. There you have it — 8 in-demand remote careers you can train for online. When you’re ready to work from home for the first time, it can be confusing to know where to start. Take the guesswork out of getting your first remote gig by learning what you need to know as a beginner. Before you know it, you’ll be skipping your commute in favor of working from your home office. This is a great post. I really like how you encourage folks to go for it regardless of their work experience. Nowadays there is something for everyone so I’m sure folks will have no problem finding something to do from home. Thanks for sharing. No doubt I’m passing this along. Have a great week! I thank you so much you came up with this kind of help for a mom like me who quit office based job. I became unstable online for two years because I was only getting commissioned jobs. I signed up in a freelance technical writing but for all I have submitted, I have never been paid. Call me dead broke in my mid forties, who can only leave for the day then having piled up worries for the next days to come. But I hope I’m not in my dead end on everything. I want to start my writing career with some guidance and best practices. Hi Ashlee, I was so excited when I came across and read your post on legal transcription. I worked in the legal field for many, many years (28+). I resigned from my job in August 2015 after my son passed away. I am now raising his 2 children, 2 1/2 and 12. I am really interested in becoming involved in legal transcription. Any additional tips and advice would be greatly appreciated. Ideally, I would love to talk to someone currently in the field of legal transcription. Thanks so much for such wonderful information. Hi Ashlee,thanks so much for such a great post . I am a dentist with a CPC certification from AAPC in Medical coding,worked as a medical coding trainer for a year before relocating to UK.I would love to start my job from home as a trainer or medical coder. I would really appreciate any help ,tips or advice in this field.Thanks in advance.